Hair is the most important part of our body. Hair plays a vital role in making the personality impressive. Women are very conscious about their hair. They always use the products that make their hair healthy, shiny and long. There are so many ways to treat hair such as products, home remedies and haircare tips. If we talk about the best hair care products for dry hair then we have shampoos, conditioners, serums, repairing treatments and so many more. 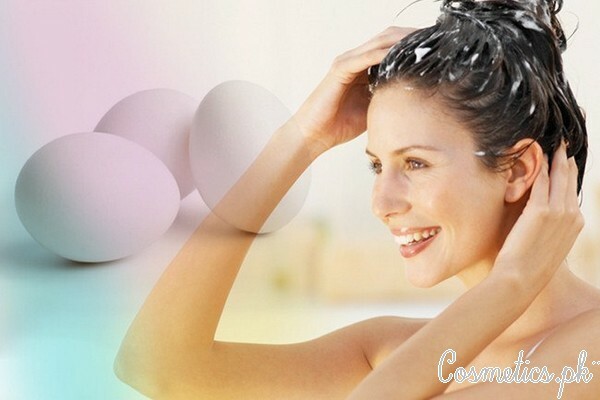 Hair mask is also considered to be as the must have hair care product. Hair mask is available in a wide variety inside markets. You can choose it according to the need of your hair as well as the type of hair. So, here in this post i am sharing 5 best hair masks for dry hair below. Let’s check out the complete details and review of the 5 best hair masks for dry hair below. 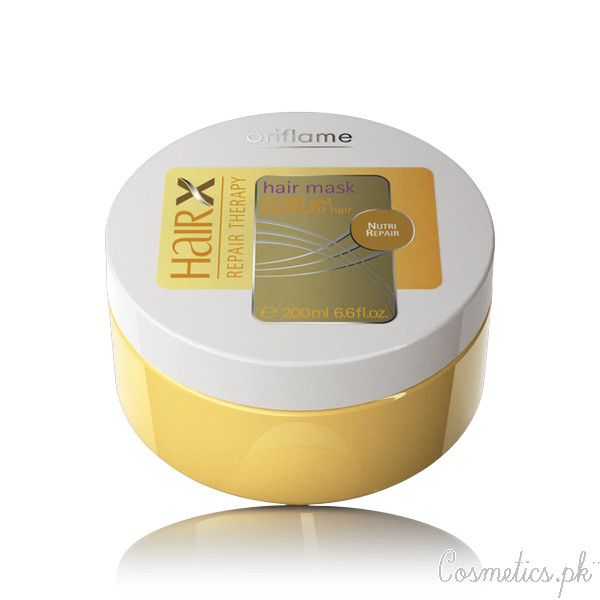 You can also find their price in this post, these hair masks are easily available in Pakistani Beauty And Cosmetics Shops. Let’s have a look below. Neutrogena triple moisture deep recovery hair mask is very effective for dry and damaged hair. It’s recovery formula repairs the hair and gives them a healthy life. 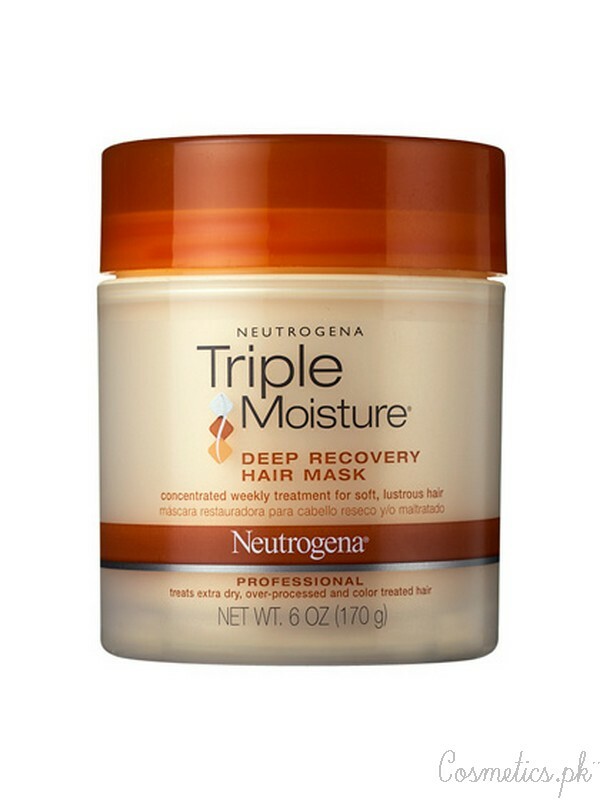 This Neutrogena triple moisture deep recovery hair mask has ability to moisturize dry and over processed hair. This is a weekly treatment and just a small quantity is enough for hair. It makes the hair soft, shiny and full of lustrous in just a minute. It contains three natural extracts of Olive, Sweet Almond and Meadow-foam Seed that work from scalp to root. Apply a small amount of hair mask to wet hair just after the shampoo. Leave it for 3 to 5 minutes and then rinse off with water. Pantene weekly rehab crème is a hair mask that renews hair and gives them a long lasting smoothness. It makes the hair strong, shiny and healthy. 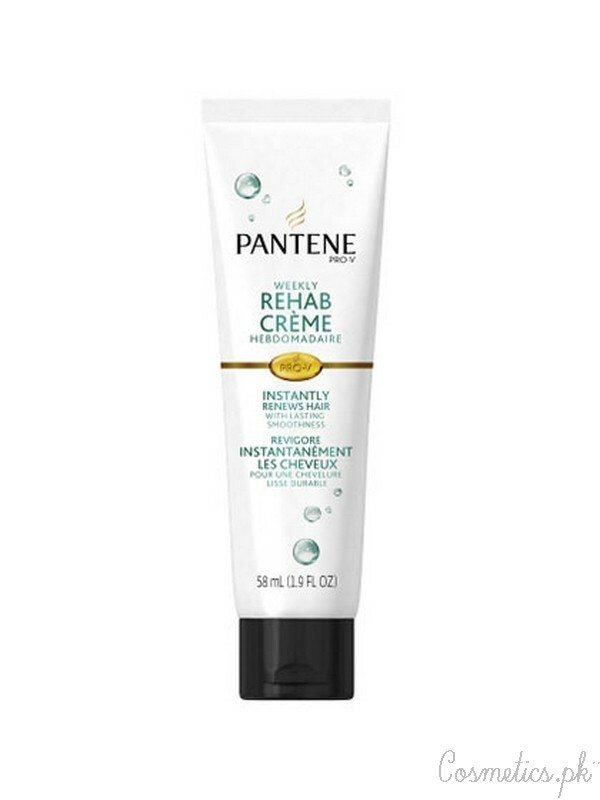 Pantene weekly rehab crème instantly makes the damaged and dry hair soft. It is a weekly hair mask treatment that renews the hair. It contains Mimosa mint oil and anti-oxidants that give shine and smoothness to hair. It’s moisturizing formula seals the damaged cuticles and works well for scalp. Apply a small amount of hair mask cream to wet hair. Lather for 5 minutes and then rinse off with water once a week. Use it with revitalizing shampoo and rebuilding conditioner for best results. 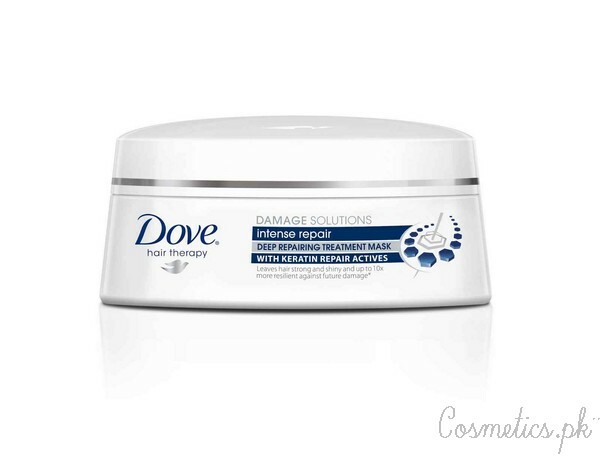 Dove intense repair treatment mask is effective in split ends. It also makes hair soft and shiny. It doesn’t control frizzy hair and doesn’t moisturize hair. It is also a weekly hair regime. Simply, apply on palm and massage onto a cleansed hair and scalp. Leave it for 3 to 5 minutes and then rinse off with water. Oriflame hair x repair therapy hair mask is a best treatment for dry and damaged hair. It controls the frizzy hair and makes hair smooth and strong. It leaves soft and tangle free hair in a minute. Oriflame hair x repair therapy hair mask is a part of nutrient repair system. It nourishes the hair and also repairs the damaged hair. It has a special repair active and Shea butter that nourish hair with better protection. Simply, apply a small amount of this mask to a towel dried hair and comb thoroughly. Leave it for 5 minutes and rinse off with water. Use this hair mask once in a week and avoid to use on scalp. 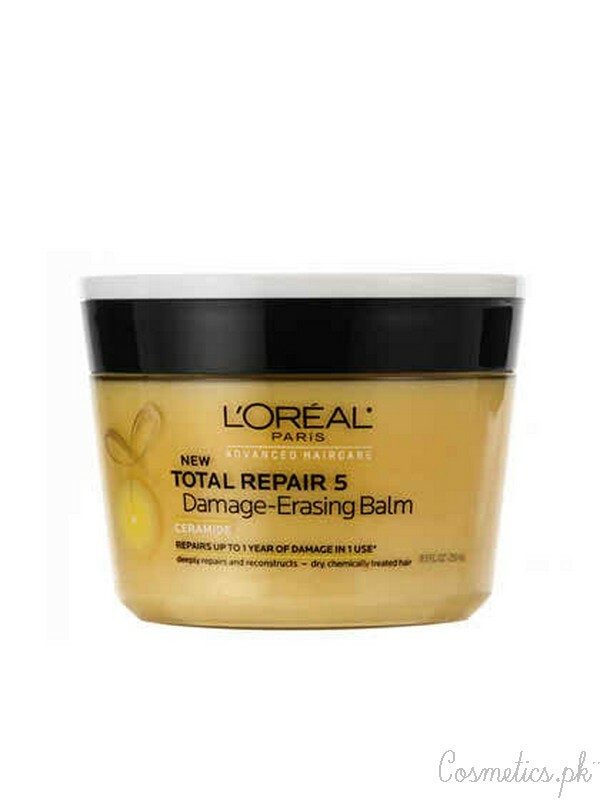 L’Oreal advanced total repair 5 damage erasing balm repairs the hair in one wash. It hydrates the hair very well and makes it smooth and healthy when leave it for a whole night. L’Oreal advanced total repair 5 damage erasing balm is the one solution of 5 problems. It is a reconstructing balm that repairs the fully damaged hair in one use. It is powerful and luxurious. It fights against 5 problems of split ends, weakness, roughness, dullness and dehydration. Use it after the total repairing 5 shampoo. Apply to wet hair and then massage through the ends. Leave for 23 to 5 minutes and rinse off with water. From where we can get these in Lahore?? ?